Five years ago, a group of friends murdered a man. Every year since then, Shintarou Nakamura, Akira Kanzaki, Ryuu Nimaidou, Haruka Nagase, and Tsubaki Toyoshima visit the dead man's rotting bones and reaffirm their blood oath to take the secret to their graves. Soon after one of their yearly visits, the friends hear that a golf course will be built in the area and decide to go back and move the body. Instead of bones, however, they find a cell phone that begins to ring. The group answers it with trepidation, and the stranger on the other end confirms what they already suspect: the bones are indeed missing, and their crime has been discovered. In order to stay out of jail, they agree to do the thief a "favor," and in the process uncover a plot that will test the bonds of their friendship. Hone ga Kusaru made has been published digitally in English as Until Your Bones Rot by Kodansha Comics USA since October 17, 2017. This Manga is extremely enjoyable and I would implore anyone who agrees to assist in raising the score. 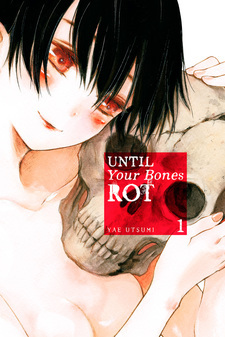 Till Your Bones Rot is deep philosophical manga about the consequences of murdering someone. These consequences are experienced and conveyed through a group of young teenagers, who all had their own motives and deal with it in their own way. In the way that it's emotional, it's also a mystery roller-coaster. There are many scenes in this that will leave you guessing at what happens next, or took place that we don't know about yet. It's drawn pretty well, and I rarely ever had a moment where the art didn't convey what the author intended. Beyond this, all the names should be easy to remember if you've got some familiarity with Japanese names. These generally lend themselves to the high rating I gave it. Overall, this manga is an experience that will keep you reading without overstaying its welcome. Please read it and share your thoughts, if you can. I rate it an 8.5/10, rounded up to a pleasent 9/10 for MAL. This manga is really not well known at all, and that's a shame. It doesn't even have any reviews, so I'll be writing one. At first when I started reading Hone ga Kusaru I didn't really have any high hopes, since there must be a reason why people don't read it right? But the beautiful and interesting cover art pulled me in, anyway. I expected this to manga to really blow and have some sort of misunderstanding about the person the group killed. To my pleasant surprise, it really doesn't pull back it's punches. The art is phenomenal, the characters feel real, and it has it's generic dramatic love triangle (with 2 cute girls ;) ). The plot is intriguing, and there are some great twists in the story. So I at least suggest you to try out the first volume, it's very interesting. As of now, there are only 5 volumes. Volume 6 is coming out later this month. (April 27) And the latest volume is most likely coming in May, or the month after that. This manga generally tells about friendship, sacrifice, betrayal and remorse. It all started when "they killed someone five years ago". When talking about this manga I can't dismiss the conclusions of the story, so expect to be careful there will be spoilers. This didn't work out as I had hoped, but from the start I knew the story would go there. Someone commented badly, but there were some things I disagreed with. The premise is still interesting from the beginning to the end, a tension, though unfortunately it doesn't use tricks so the story really has a climax. I honestly don't like it when there is a "love" that grows between them. You have guessed what the expenditure will be, a kind of lust that drives them to do stupid things. The good thing is that even if there is a trigger, they don't fight for silly things other than thinking about "how not to get caught". Speaking of characters, Tsubaki is a pawn who plays the "most" important role in the story. I agree that Tsubaki seemed portrayed too miserable as a victim, even when the last confession, I never thought it had anything to do with his love for the main character. Why? I will tell you why, even if she does it with her own awareness and will, she has no evil intentions and I like the part when everything is revealed, there are solid reasons. She is strong and fragile at the same time. She sacrifices everything. She can't be labeled as a psychopath behind fleece. Then, Shin, is the main character which is pretty awful because who knows whatever he thinks on his head. Only the two characters did a lot of movement, the rest, not much. But everything about this friendship is interrelated and brings a stifling reality. There is something called an act that happens accidentally and that is the right word to describe their situation. They try to live a peaceful life, but disaster returns terrorizing them and everything comes from feeling to protect something. I think the situation is pretty good because everything still stick to the main problem. I don't find too much resentment. The conclusions of the story are very good and heartbreaking, it is not great, but I enjoy it and not wasting my time.